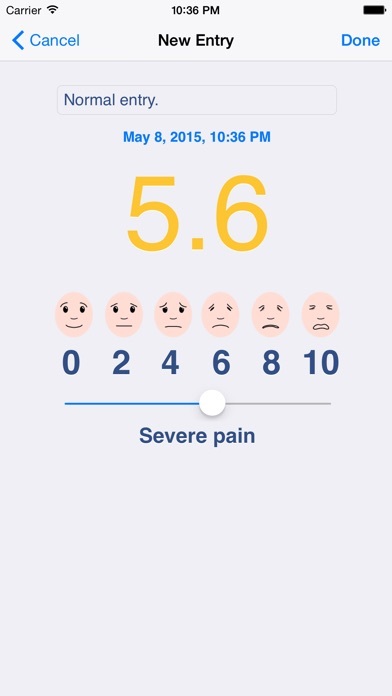 iPainscale is your digital pain scale app. 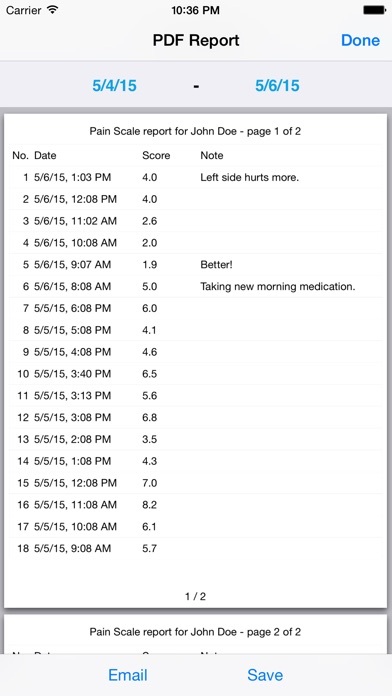 Individual pain estimations will be saved automatically along with date, time and an optional note. Create a PDF report with your entries and save them or email them to your healthcare professional. A graph shows you a quick overview of your entries for the last days, weeks, or months. 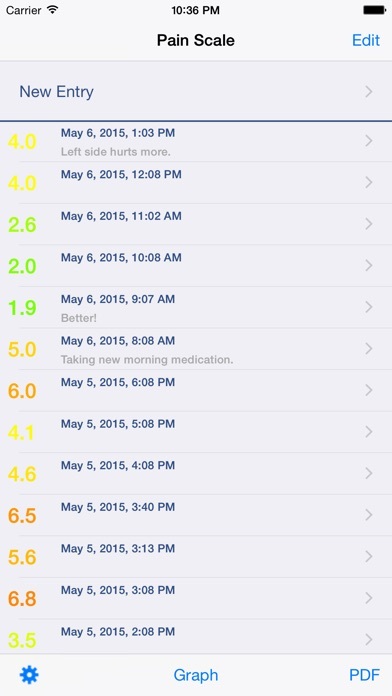 Simple and convenient enough for me to be consistent in tracking/recording my chronic pain. However, it needs a notes section for each entry so that when I identify trends I can draw associations with activities and pain levels. That is very important. 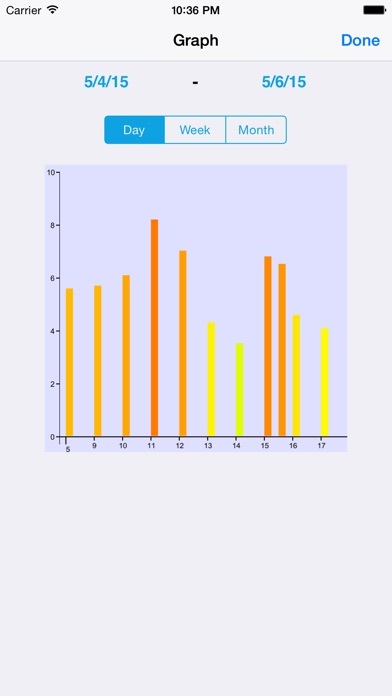 Also, the graphs could certainly be better. They need to be bigger on the screen, and, for the money, they could be better graphically. Finally, 4 is moderate and not “severe pain” to me. It would be nice if we could customize the values. This app is ok. It’s simple and gives you just the basic info. What I don’t understand is why I’ve been charged $5.99 for this app today (had this app for a few days) when there is no indication of a fee anywhere. I’ve tried to contact the seller but get a dead end every time. Does anyone have a suggestion as to how to address this fee? Call Apple? Great App! Suggestion for improvement, is there a way for the notes in the PDF to continue down the page? Right now if I write more than 5 words it trails off as "..." in the PDF. I want my patients to send my me detailed descriptions of their symptoms so I would really appreciate if the notes section in the PDF were formated as "wrap text." Still an awesome app. Can be even better if this were fixed. Like the simplicity of the app. But it needs way more note space. You can't describe detail in two or three words, just not enough.